Following the sell-out success of the upcoming Garage Classical show at the Barbican in July, which sold an impressive 2000 tickets in just 52 hours! DJ Spoony has announced a huge new show at London’s Eventim Hammersmith Apollo on Friday 14th December. DJ Spoony, one of the original and most respected pioneers of the UK Garage scene, has joined forces with the 36-piece Ignition Orchestra to bring you one of the biggest Christmas parties. Expect an unmissable night of the most iconic UK garage hits like you’ve never heard them before. The performance does exactly what it says on the tin...Spoony the curator and presenter of the event, alongside Composer and Conductor Katie Chatburn, have put together 20 of the biggest Garage anthems, stripped back and performed live with the original vocalists. The show will also feature some very special guests. 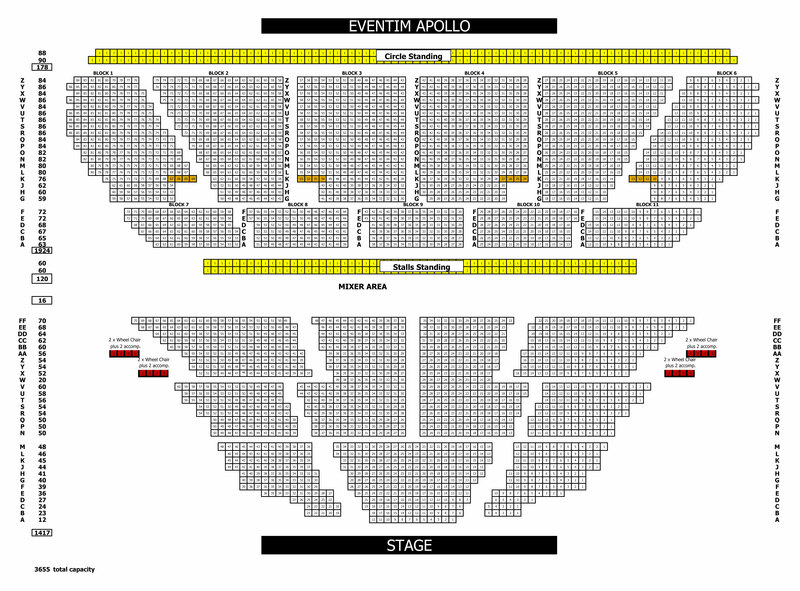 Classic hits including ‘21 Seconds’, ‘You’re Moving Too Fast’, ‘We All Have Good Rhymes’ and many more will be performed on stage at Eventim Hammersmith Apollo on Friday 14thDecember. Garage Classical will be hosted by DJ Spoony, one of the founding fathers and instrumental players in a movement that defined a generation. This was something he had wanted to do for a long time having heard several orchestral performances of dance music, and drawing on his vast knowledge and respected status within the scene, Spoony was able to bring together the original singers, producers and MC’s behind the tracks and get them on board with the event. 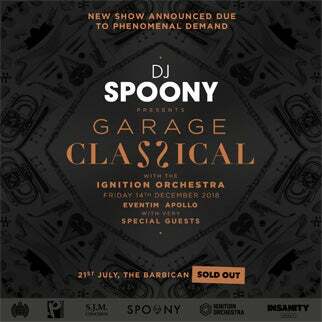 The first Garage Classical night was premiered in 2017 at LIMF and was a highlight of the festival, now with the huge demand from his sold out date in July Spoony is bringing the highly anticipated show back to London in December. The aim of “Garage Classical” is to put on the most bespoke event ever put on for the genre, with the stars and the unsung heroes being represented throughout.